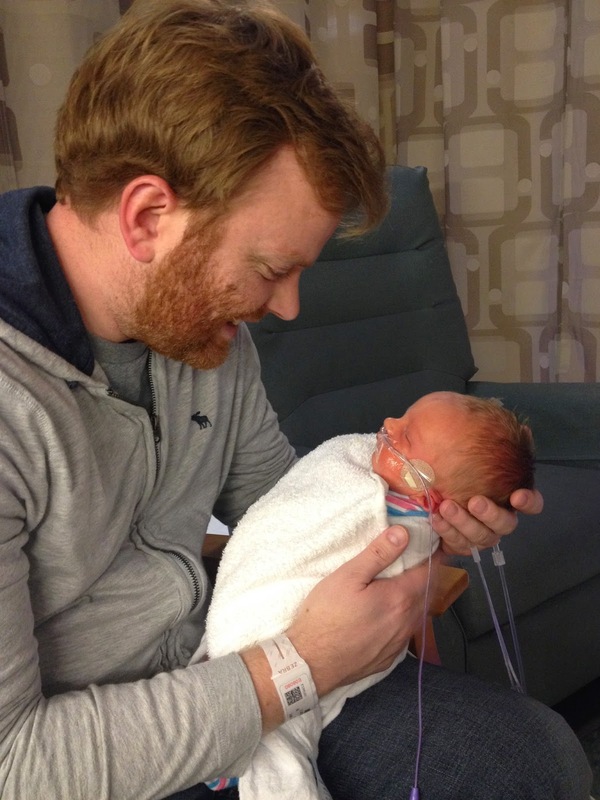 As I was sitting in the hospital bed in shock that I was in labor, all the baby to-dos we had miraculously gotten done five weeks ahead of schedule flashed through my mind. The way things worked out, you would have thought we knew all along Lincoln was going to appear an entire month early. The first thing I thought of was his nursery. After staring at the same nursery decor for the first two boys, I thought it was time to update the look for boy number three. I started the process as soon as I found out we were having another boy. My one problem was that Jeff had offered to paint the crib for me, and my design ideas were not flowing without the visual of the finished crib in the room. After a little nagging, Jeff buckled down and committed to have the crib painted by my birthday. Sanding, priming and painting all those slats turned out to be more time consuming than what Jeff may have otherwise agreed to, but with the help of Eli, they got the job done with a couple of days to spare. My nursery vision came together even more perfectly than I imagined. Jeff and I found ourselves sitting in this room every evening after putting the boys to bed, longing for a new little baby to snuggle. A couple days after the nursery was finished, I walked past it and thought, "Why the heck did I get that done so early? Now I have a whole month with nothing to do." It seemed odd to have everything perfectly in place with my due date still so far in the future. I brushed it off as nesting energy encouraging me to get everything done before I got too big and tired to care about decorating. Along with finishing the nursery, I also deep cleaned the entire house. 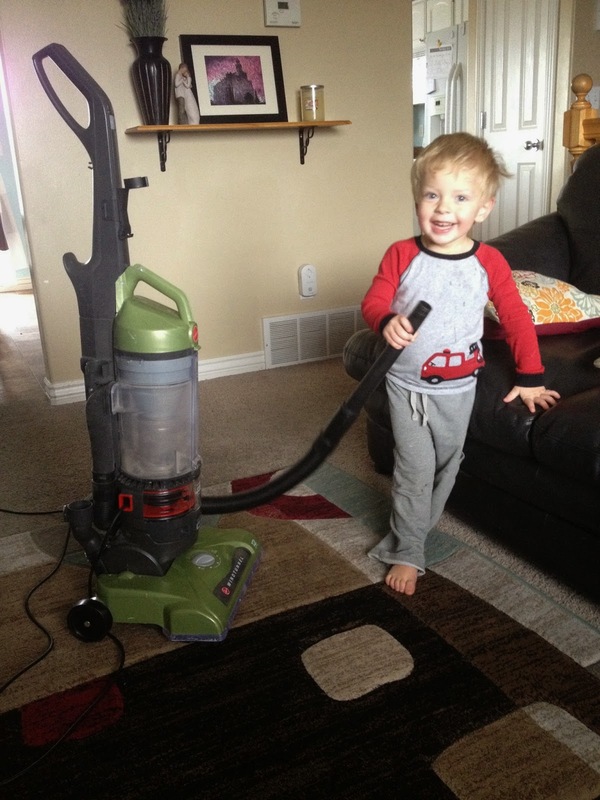 I even vacuumed the couch, folks -- with the help of a couple suction-happy boys. 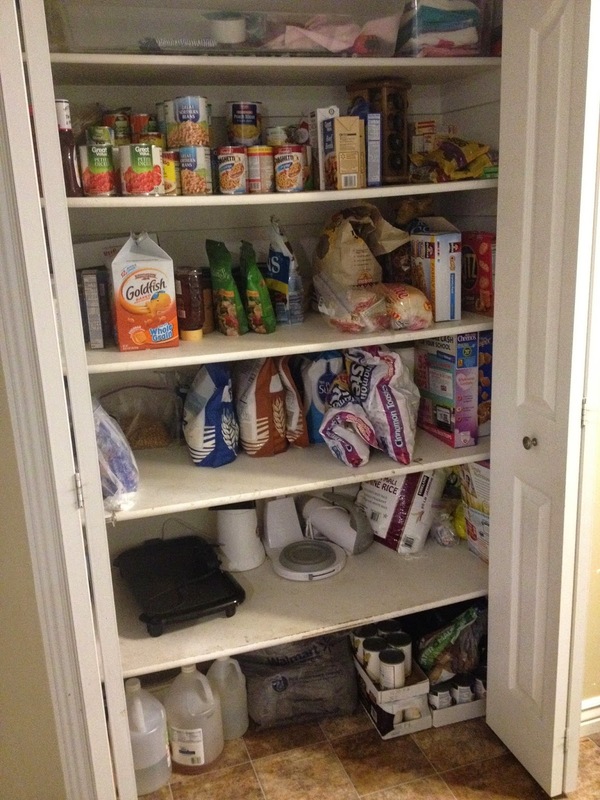 I organized the pantry, the fridge, the freezer, every closet in the house, every cabinet in the house. I washed bottles, had all the baby clothes washed, folded and organized. This even went so far as to organizing all the files on my computer. 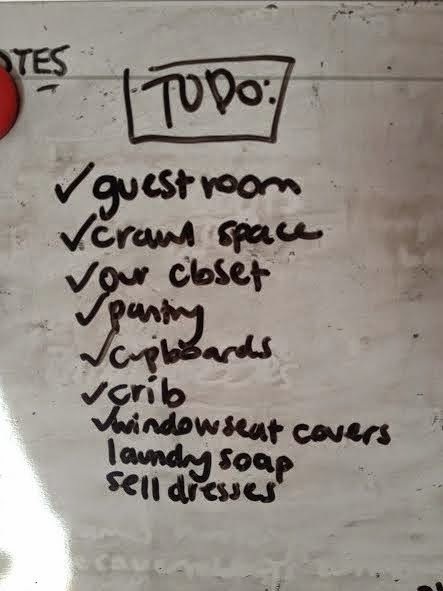 We spent every Saturday in January with an organization/cleaning to-do list and literally got every inch of our home in perfect order with the last items of organization crossed off the weekend before Lincoln was born. 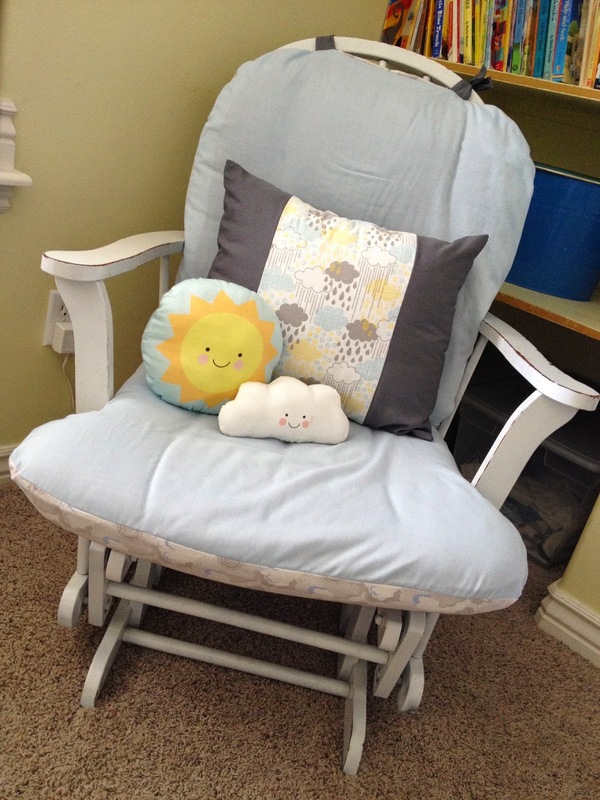 What I once brushed off as nesting has now become clear that it was more than a nesting urge. I feel like I was prompted to get all those things done to make the transition of having a preemie baby easier. It was such a relief to come home from the hospital to a house that had no big to-dos to worry about. 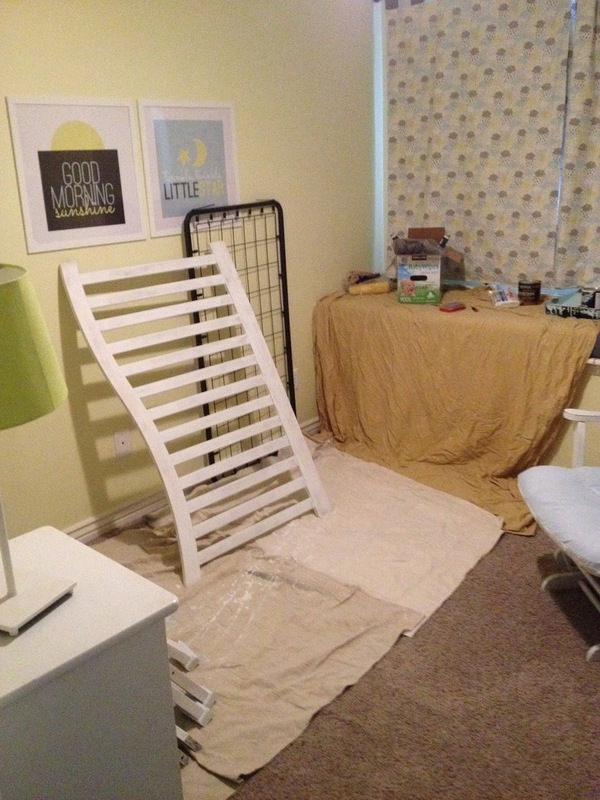 It was calming to come home to a nursery that was perfectly in place so we could focus all our energy on getting Lincoln ready to come home instead of working on getting the house ready for Lincoln. Our guest room that is usually an explosion of curtain materials and shipping supplies had miraculously been cleaned the weekend before so it was ready for Jeff's parents to stay with us. I had oddly stockpiled all the necessary post delivery items that I never thought of ahead of time with my first two pregnancies. I had my hospital bag packed FIVE WEEKS EARLY! What? Everything you could ever imagine to be prepared for a baby, I had done it. And I had done it with what I thought was five weeks to spare. As I did each of these things I kept thinking, "This seems early to be doing this, but I'll just do it anyway." Eli had a dental procedure that I had been putting off for months. I made a goal to get it done before I had the baby. His original appointment had been scheduled for Thursday, January 29th, but it got changed last minute to Monday, January 26th. Lincoln was born on Wednesday, and we would not have made it to Eli's appointment had it not happened to have been rescheduled. Jeff was working on our taxes the evening before I went into labor. I had spent months stewing over how much we would owe on our taxes since we had to pay quite a bit last year because of my curtain business. I was anticipating it would be the same this year. After filling out all the forms, we found we only owed $20-$30 this year which was much less than I had been planning on. Jeff and I sat in the kitchen Tuesday night looking over our finances and realized without the extra expense of taxes, we had enough money to pay for the baby a month ahead of schedule. We had to wait until the new year to have a baby because our insurance plan last year wasn't very pregnancy friendly. If we would have gotten pregnant the first month we started trying, we would have had Lincoln on December 28th-31st which would have fallen under last year's insurance plan and we would have owed thousands more for our hospital stay than what we ended up paying. My mom and Jeff's parents were able to free up their schedules the weeks after Lincoln was born to help with Eli and Carson so we have had no trouble shuffling back and forth to the hospital. It blows me away to see how everything worked out completely perfectly. We could not have planned the way everything worked out better, other than the whole baby coming 5 weeks early part. We have felt so blessed and seen how we were guided to do certain things which have made this whole baby-in-the-NICU experience bearable. This cute face helps make everything bearable too. The last tender mercy happened yesterday. On Friday we got the OK for Lincoln to come home on Sunday. We were so excited our NICU stay had come to an end, and so anxious for Lincoln to meet his brothers. 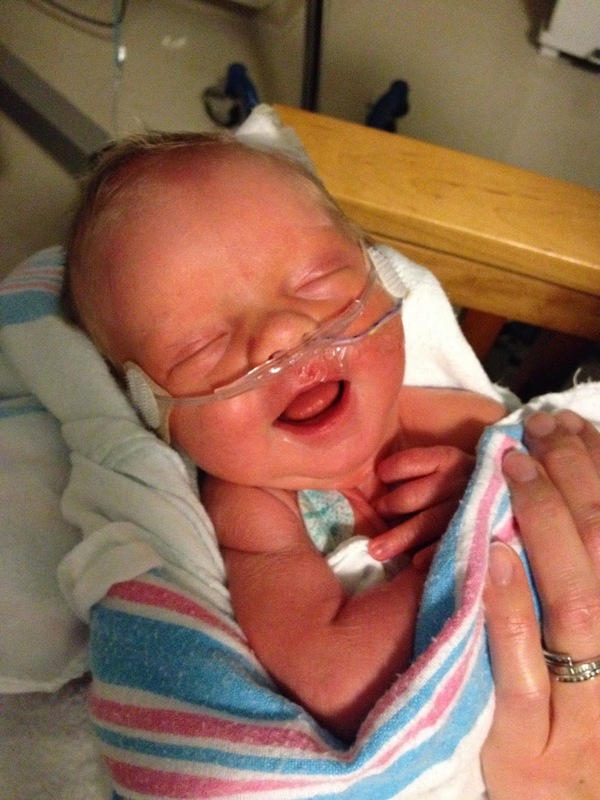 On Friday night, Carson woke up gasping for air and coughing his head off. He was up for a half hour clearly sick and wheezy. 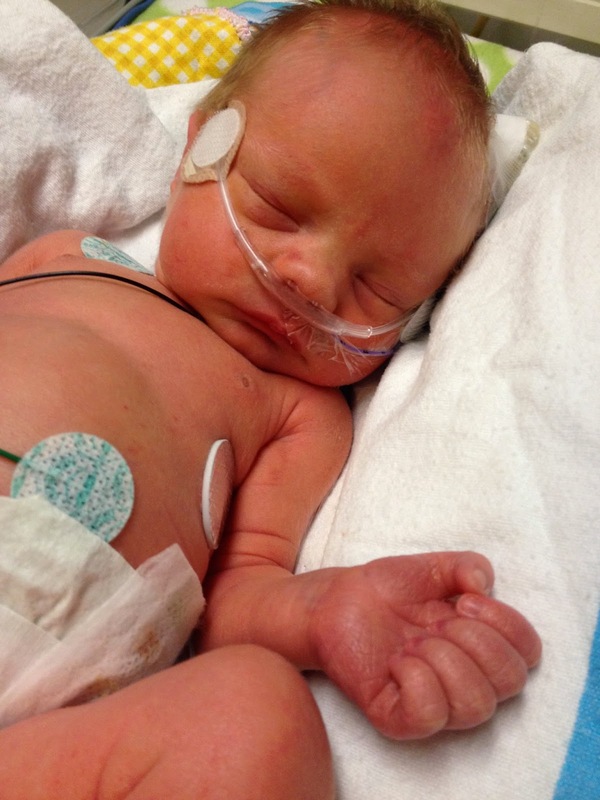 I started freaking out thinking of bringing itsy bitsy Lincoln home to a sick house with his weak, preemie lungs. I stayed up for a while after Carson's cough attack trying to decide what to do. Maybe I would have to stay at my mom's with Lincoln while the boys got better. 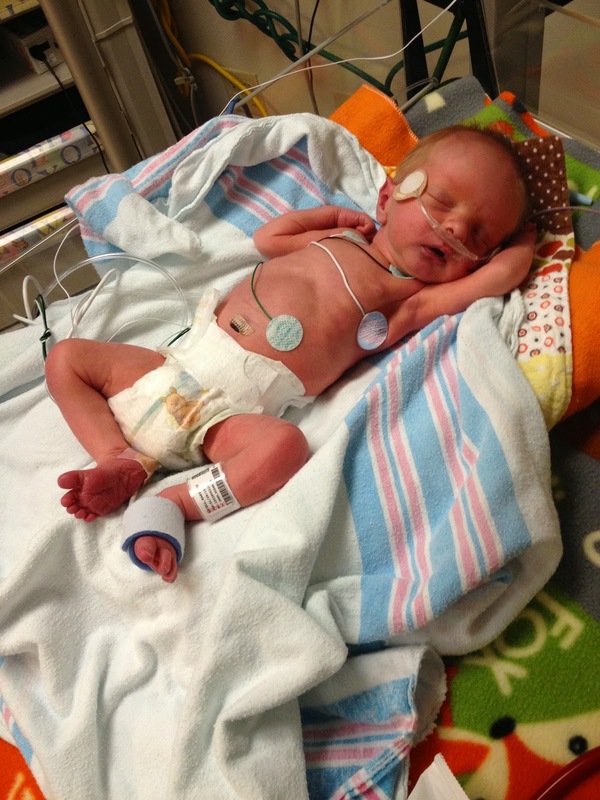 Maybe it wouldn't be so bad if something minor happened where Lincoln ended up needing to stay in the NICU for a few extra days to give us some time to get everyone well at home. Saturday morning we went in to see Lincoln and found out he had two "episodes" Friday night. An "episode" is when he essentially forgets to breathe and has to be startled awake. Freaky. Every time he has an episode, it postpones his coming home schedule by 5 days. I was oddly excited to hear this news and kind of felt like it was an answer to my prayers because I was so worried Lincoln was going to come home and get RSV from his sick brothers. I'd rather have him safe and monitored at the hospital than bring him home and get him sick and end up back in the hospital in a week or two. So Lincoln is doing well. He's off oxygen. Off his feeding tube. Nursing well. His only issue is his episodes which are a little freaky, but the doctor and nurses say it's pretty typical in preemie babies and it's just a matter of giving his brain time to mature and remember to breathe regularly. This whole experience has reminded me that I have a loving Heavenly Father who watches over me and my family and cares about all the details of my life. We feel so blessed and can't help but recognize the divine help we have received over the last few months. Now if we could just simultaneously get a certain baby home while his brothers are well, we'd be all set! How incredible is this little guy of yours. The Lord really is looking out for your family! He is a cute little guy! And, of course, let's not forget the Miracle of the Braid that you spoke of in your last post. I love how everything has fallen into place wonderfully with little Lincoln. 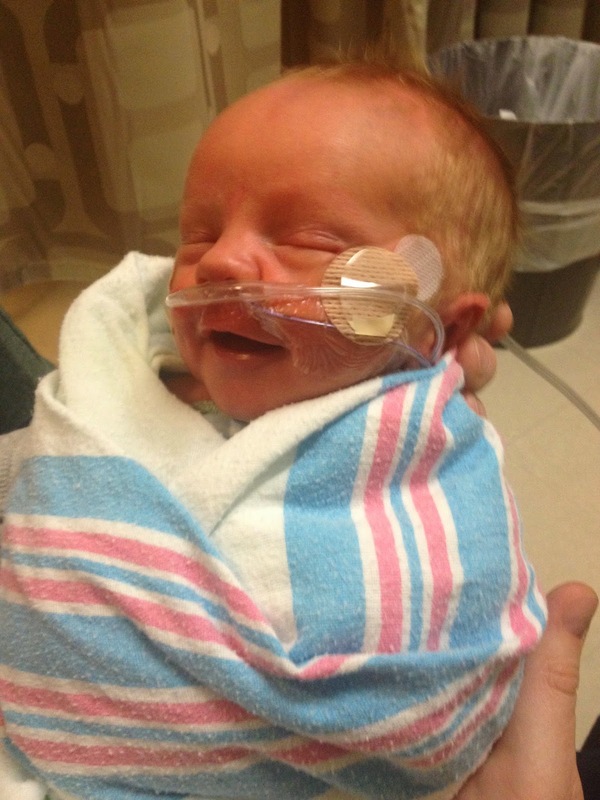 Now get your other boys well so Spencer can play with them while you're at the NICU! Sarah, I have been thinking about you so much and how crazy and unexpected it was for him to come so early - but how crazy that you had everything ready. Heavenly Father just works in interesting ways. Even in the little things, like an early nesting urge, or a little break on your taxes. I love this post and I Love you! .... mostly I love Lincoln and I can't wait until I can come hold him!